Jonathan Haidt speaks about happiness and how nothing is good or bad. Jonathan David Haidt (pronounced “height”) is a social psychologist and Professor of Ethical Leadership at New York University’s Stern School of Business. His academic specialization is the psychology of morality and the moral emotions. 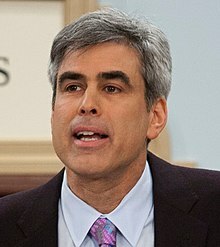 Haidt is the author of two books: The Happiness Hypothesis: Finding Modern Truth in Ancient Wisdom (2006) and The Righteous Mind: Why Good People are Divided by Politics and Religion (2012), which became a New York Times bestseller. He was named one of the “top global thinkers” by Foreign Policy Magazine, and one of the “top world thinkers” by Prospect magazine. His three TED talks have been viewed more than 3 million times. In the second video below in the 76th clip in this series are his words and my response is below them. Here are a few statements that most all of us would agree with. A world with gods should be measurably different. Secondly, we can’t be certain no supernatural entities exist, but our world does not look like a world with gods. Thirdly, Historical, cosmological and casual claims of religions are mostly false. Fourthly, Religion is a natural phenomenon and should be studied with methods of science. I really like the fact that you are a Libertarian. Milton Friedman was a hero of mine and I had the privilege of corresponding with him. Let me start off by saying that this is not the first time that I have written you. Earlier I shared several letters of correspondence I had with Carl Sagan, and Antony Flew. Both men were strong believers in evolution as you are today. Instead of talking to you about their views today I wanted to discuss the views of you and Charles Darwin. « “Schaeffer Sunday” Liberals at Ark Times can not stand up to Scott Klusendorf’s pro-life arguments (Part 6) Six piercing questions concerning morals that must be answered!!! !